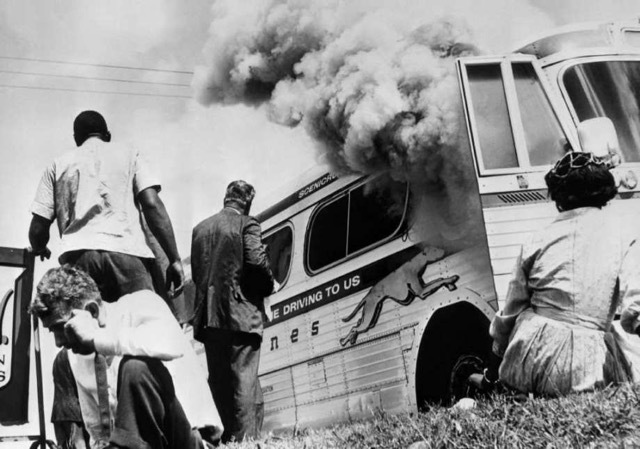 The Freedom Riders National Monument and Birmingham Civil Rights National Monument in Alabama, and the Reconstruction Era National Monument at Penn Center in South Carolina were central in the struggle for civil rights. 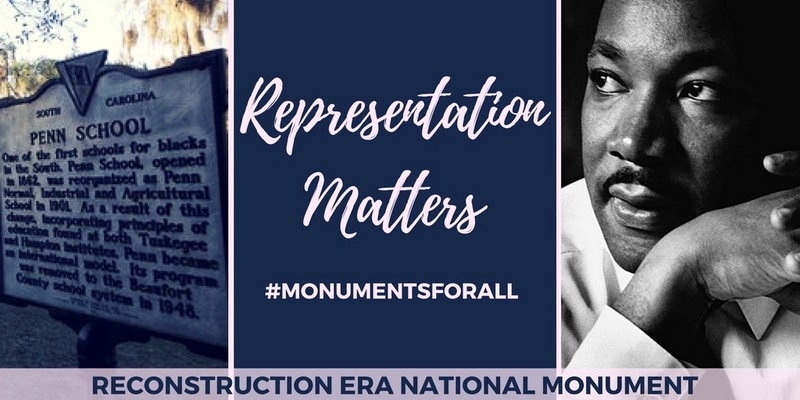 Establishing these monuments will preserve civil rights history and help ensure that our complex history is shared with present and future generations. "We will miss President Obama on many levels, but these new monuments, along with others he has established through the Antiquities Act will stand for all of time as a testament to his commitment to the environment, our shared heritage, and all working people,” said Jon Hendry, President of the New Mexico Federation of Labor. “Thanks,Obama!" New Mexico’s own historical markers and monuments recognize our state’s historic commitment to equality and the struggle for civil rights. 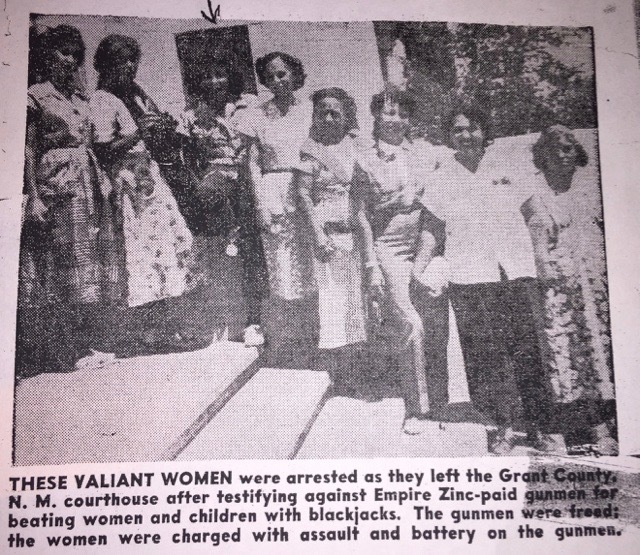 The Ladies Auxiliary of Local 890 Mine, Mill, and Smelter Workers, and their Union Hall in Bayard serve to remind us of the struggle Chicano mine workers and the women of Grant County went through to further the struggle for equality. At the New Mexico Veterans Memorial, the Buffalo Soldiers monument pays tribute to the African American soldiers who served in the Union Army during the civil war. The Tuskegee Airmen Monument celebrates the African American soldiers who overcame segregation and prejudice to become one of the most highly respected fighter groups of World War II. Under the Antiquities Act - which protects not only iconic landscapes, like the Grand Canyon, and U.S. cultural and historic heritage including monuments like the Statue of Liberty and Fort Sumter, President Obama commemorates vital actions of our nation’s civil rights history as born in Alabama and South Carolina. The National Park Service manages more than 400 sites which celebrate our heritage, the natural world, and the shared history of our American experience. New Mexico Labor hopes that Ryan Zinke, if confirmed as Secretary of the Department of Interior, will be a respectful steward of the Antiquities Act. We look forward to hearing Rep. Zinke commit publicly to supporting these national monuments and other parks and public lands that, we the people, have fought to see protected. These sites are not only important for enshrining our collective history and protecting our natural treasures, they provide vital and sustainable economic activity for our state.